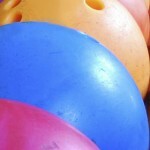 Bowling is a great activity for an assortment of functions and events including: 18th/ 21st/ 30th/ 50th/ 60th birthdays, family nights, presentation nights, sport activities, social activities, corporate parties, end of term/year parties, anniversaries, etc. Available to any group size, you simply book the number of lanes you require. We generally suggest making a booking based on 4-5 people per lane. Each game has 10 frames, and two balls within each frame. The approximate time is shown below so that you can plan your event, but your booking allows for everyone to finish their games. * At Healthways shoe hire is FREE. 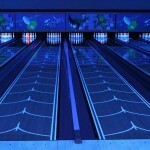 Bowling as per Option 1, plus Party Room area is booked exclusively for a half hour at the end so that your party can stay to eat and socialise after bowling. (Alcohol is NOT permitted.) Bookings are confirmed by a $55.00 non-refundable deposit. For information about the different food options, see the section at the bottom of this page. How many people are you expecting at your event? 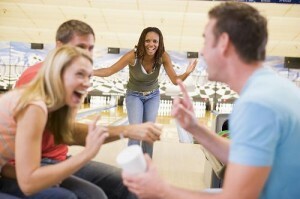 For larger functions consider booking the entire bowling area for your group! 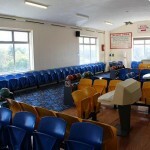 including the party room, and you have unlimited bowling games. 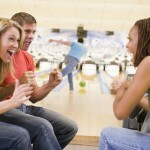 You have UNLIMITED bowling games! Bring your own food and drink! The responsible use of alcohol is permitted in the function area. You can decorate! Approach us with your ideas of what you’d like to do. We’re flexible as long as no permanent marks are made. Bookings are confirmed by a $200.00 non-refundable deposit.